Blue APK is a another blogger template by MS Design. Blue APK is best template for your android apps download site. Green APK Pro Responsive Blogger Template was our previous template for android apps and games download site. But in Blue APK we bring some awesome and big features. That make your blog more attractive. 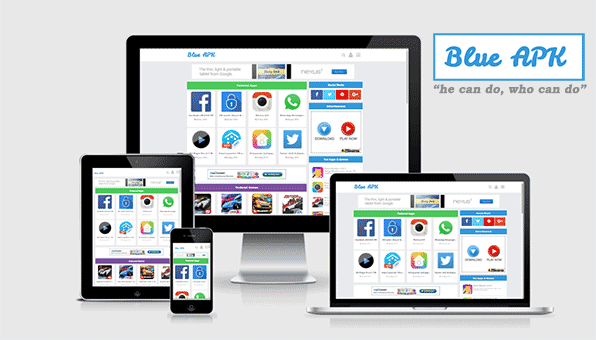 Blue APK is a responsive and seo optimized apk apps blogger themes, that make your blog more potential. In this template we used to big widget, Featured Apps widget and Featured Games widget. You can display 8 Apps and 8 Games as a featured post in top with specific label. Featured apps and games widget may increase your apps download count.